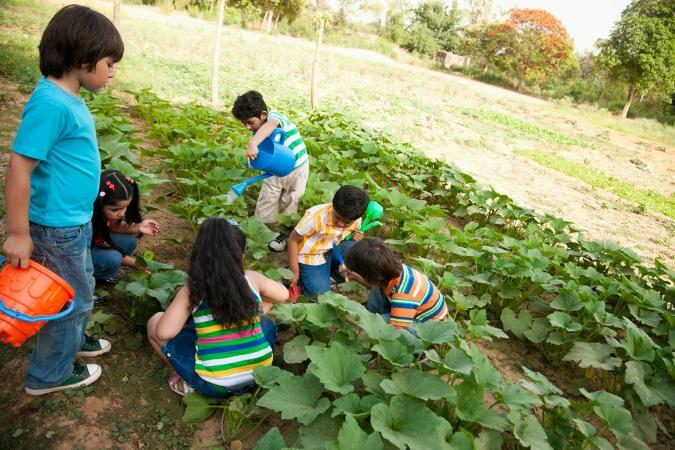 Agriculture for kids is more than just visiting a local farm for an afternoon. Help kids understand where their food and favorite products come from with facts and activities about the agriculture industry. By definition, agriculture is "The science, art, and business of cultivating soil, producing crops, and raising livestock." Agriculture encompasses many areas that impact your life every day. The United States Department of Agriculture (USDA) was established in 1862 and uses modern science to guide policies and best practices for workers in the field of agriculture. Each specific kind of agriculture has its own name to differentiate it from farming as a whole. Not all agriculture jobs involve actively working on a farm. Another word for agriculture is tillage. Agrogeology involves studying the adaptability of the land for farming. The science of farm management is called agronomy. Citriculture is the cultivation of citrus fruits like lemons and oranges. The raising of fish is known as aquaculture. Husbandry involves caring for farm animals. Thousands of years ago early agriculture sprung up as a way of life that was very different from the standards of hunting and gathering to get food or supplies. A little over 11,000 years ago people learned how to grow crops and live on a farm. In 1611 the first cow stepped foot in America. 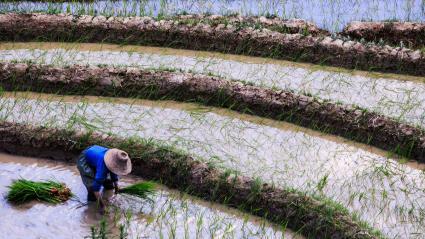 Rice was likely the first domesticated plant, and the Chinese were cultivating it in 7500 BCE. Fire was one of the earliest tools used by man to manage crops. Mesopotamian farmers in 5500 BCE developed irrigation systems using water from streams to farm in new areas. The average farmer in the early 1900s only produced enough food for a family of five. A look at recent farm statistics from the United States gives you an idea of how important and widespread farming is. About 9 million cows are milked each day. There are more than 2 million farms across the country. Roughly 30,000 farms contain more than 2,000 acres of land. Nearly 200 million hogs and pigs are sold by farmers annually. Half of all farms mainly produce crops and a half mainly produce animals. There are six times as many men running farms as women. Most farm operators are between the ages of 55 and 64. Each state has a unique climate, soil makeup, and ecosystem. This allows for different states to produce different agricultural goods to share with others. Over half of the U.S. supply of fruits, vegetables, and nuts are grown in California. There are more than 300 different types of soil in Alaska. Florida has the highest average precipitation of all the states. More than 65 percent of the land area in Montana is dedicated to farming and agriculture. More mushrooms are produced in Pennsylvania than any other state. With more than 13.5 million cows, Texas leads the country in cattle operations. Three- and four-year-old children love discovering the world around them through hands-on activities. Plan a good variety of individual, group, and active lessons to best capture their attention. Every little kid grows a plant in soil at some point, but most have never seen plants growing in air and water. Plant a classroom aeroponic garden and have the kids help maintain it. Discuss why the plants are/aren't growing well. 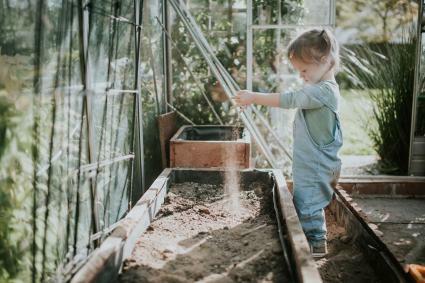 Fill your sand or water table with dirt from somewhere local. Give kids little gardening tools they can use to discover the plants and insects living in the dirt. Discuss how foods get from farm to table with a fun relay race. Group kids into teams of four and station one person from each team at a "farm," a "factory," a "store," and a "house." The first student from the farm takes a pretend food item to the "factory worker" who then takes it to the "store worker" who gets it to the "person at home." For a longer game, challenge each team to transport three or four different food items separately. Kids in grades K through 2 can start to understand more complex content related to agriculture. Choose activities that help them connect all the different aspects of the industry to their own lives. Challenge kids to eat only locally produced foods and drinks for an entire day. Visit local farms or farmer's markets to find out what options you have and buy foods for breakfast, lunch, dinner, and snacks. Take a field trip to your local grocery store. Choose to examine either fruits or vegetables. Have kids write down all the kinds of their chosen food group available in the store. Then note what country each came from (this should be on the packaging somewhere). Make a graph of which countries supplied the most fruits or vegetables. Use an old clear, plastic egg carton to collect soil samples from several locations, the farther apart the better. Have kids write down observations about things like the color and texture of each sample. Allow time for experimenting with water and heat then observe the differences between samples. Children in grades 3 through 5 understand more about how plants and agriculture work. Challenge them with activities and experiments that test this knowledge. Test out homemade, organic, and chemical weed killers to see which actually works best. You can even have kids invent their own natural options to test out. Every state in the U.S. has designated plants and animals representing their states. Challenge kids to learn all the state trees then host a state tree bee, similar to the format of a spelling bee, to see who knows them best. Extend the challenge with other state items like the state birds and state flowers. Before kids are old enough to start dissecting animals or animal parts, they can cut open plants to see what they're made of. Opt for softer fruits, vegetables, raw nuts, or even flowers and try using a craft knife or kids' paring knife so no one gets hurt. After learning all about agriculture can you see the ways it impacts your daily life? Discovering the world of tillage is fun and exciting because there are so many elements to explore!